The heart of Christ and the mystery of the cross are central in the lives of these two very different women mystics. Catherine was a Third Order Dominican and a Doctor of the Church. 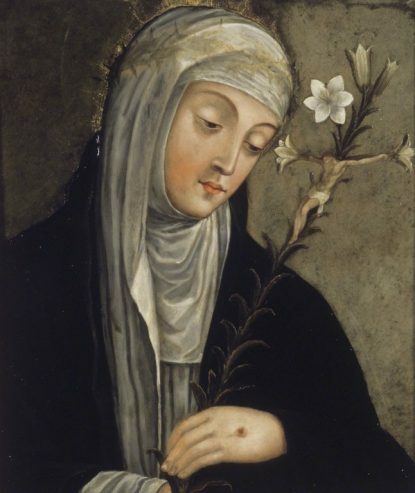 She spent her short life mainly in Siena during the tumultuous 14th century and died in Rome. Edith was a Jewish philosopher who became a Carmelite nun. She lived in 20th century, war-torn Germany and died in Auschwitz. During this season of the heart, join us to explore the similarities of these women’s passionate love of God and their understanding of the heart of Christ.